The Wormcity 50 & 75 Litre wormeries are good for smaller families (1 – 2 people), however we do advise to go for a minimum of 3 trays (75 litre) Having the extra tray means that the food in the lower level has longer to break down and become fully composted. 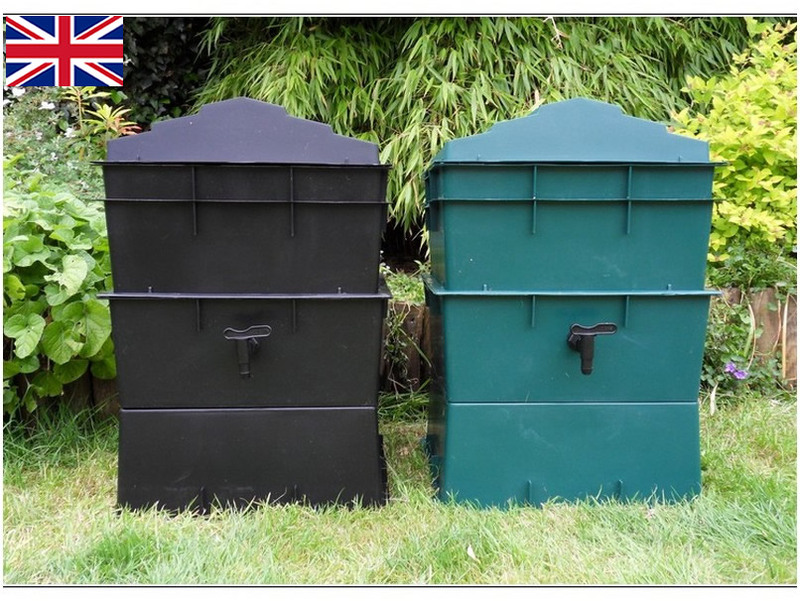 The Wormcity 100 & 125 Litre are our best selling wormeries. Its always best to buy the biggest wormery you can, as having more trays makes it more efficient and easier to separate the worms from the finished product. This is because the worms will be in the top composting trays with all the fresh food, whilst the middle trays are 'breaking down' and the bottom trays are fully composted. The Wormcity housing is exactly the same as our other wormeries however it does not contain worms, bedding or worm food. This wormery is perfect for those who want to upgrade an existing wormery. The housing comes with a tap and instructions. We are really pleased to introduce you to our very own custom-made wormery. 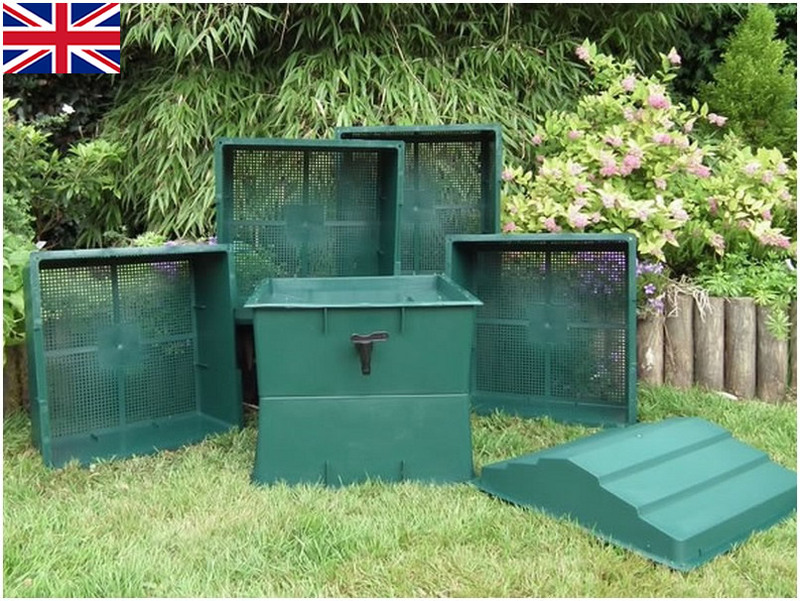 This fabulous wormery has been designed, created and manufactured to our specifications here in our home county of Hampshire, England. We think there are lots of reasons why you should buy this wormery over other similar models. Here are just a few of them, so you can decide for yourself. The first reason is that it is made locally, we believe that its important for a product that has been created to help the environment – should be just that – environmentally friendly. We didn’t want to import from China or Australia like our competitors, so we made our own. 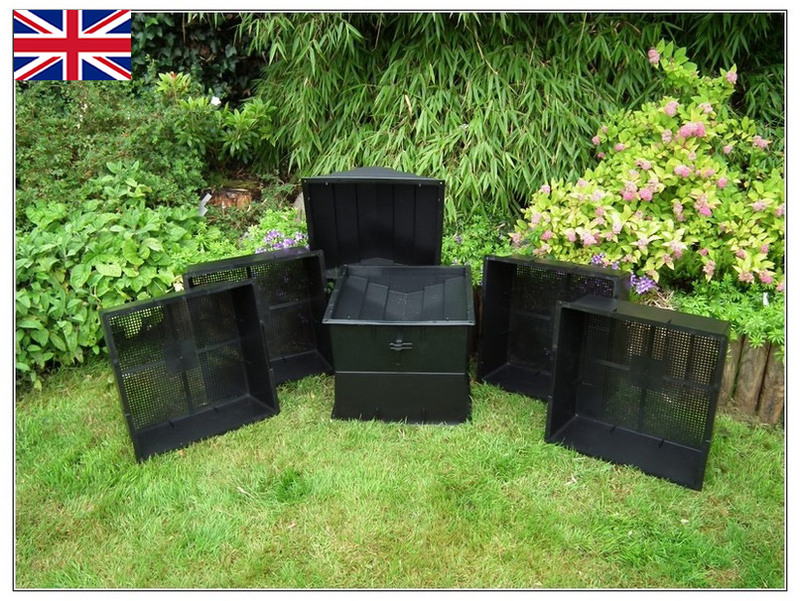 We are proud that this is the only plastic stacking wormery specifically designed for worm composting, manufactured here in England. If you are going to buy a wormery, you want one that will fit your needs – and be able to cope with normal family wastage. Unfortunately, many similar looking worm composters that are on the market that are sold as ‘ family size ‘ aren’t unless you buy extra trays. 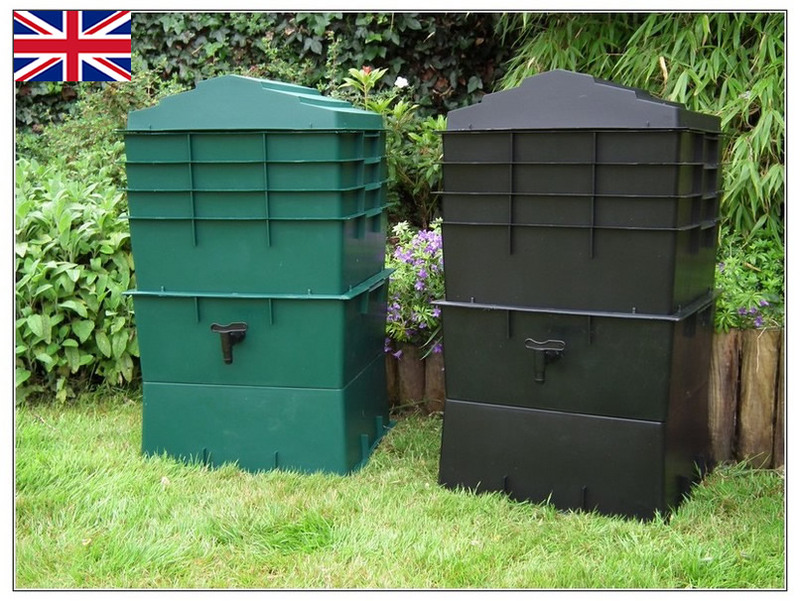 We have independently measured some of our competitors’ wormeries and know that the common 2, 3 or 4 tray wormery that are sold measure just 32, 48 litres and 64 litres respectively. This equates to just under 16 litres volume per tray. Doing the maths you would need a competitors 5 tray wormery to equal the size of our 3 tray model. The Wormcity Wormery is sat on a square base, this is very strong and secure. No legs to fall off or overturn. Worm steps in the sump. Although composting worms live on the surface, some naughty ones seem to want to live in the sump. Therefore our sump has steps upwards so that the worms can keep out of the liquid and can get back up into the trays. The steps also allow the worms from sliding back into the sump. Not only has this wormery been made from recycled English plastic but it also has a UV (ultraviolet) protection. This means that the plastic won’t go brittle in the sun. We are so sure of its quality that we give a 5-year warranty. These are the most important part of a wormery as the more you start off with, the more they will eat and the better your success rate. How does The Wormcity Wormery work? Composting worms differ from normal garden worms as they live near the surface and eat the decaying vegetation from gardens and forests. You will find them in manure heaps, compost bins and sometimes under bricks, stones and logs. The Wormcity Wormery has been specially designed to take advantage of their lifestyle. Basically, our wormery contains a series of composting trays, each one has small holes in the base. You start off with one tray that contains the worms and your kitchen waste. When this is full, you simply add the next tray on top and start filling it up and continue with the other trays. The worms will eat the kitchen waste in the bottom level, and because they are surface dwellers, they will move upwards through the holes into the tray above and start to consume the kitchen waste in this level – then move upwards again, leaving behind vermicompost (worm poo) which you can use on your garden. When they eventually reach the top tray, the food in the lowest tray should be completely composted and can be used in the garden, and the empty tray replaced back on the top. It sounds complicated, but its really very easy and only takes a few minutes each week. Wormeries make fabulous unusual presents. Gardeners love them for the amazing black gold compost they produce – or get one just for yourself to try and reduce some of the waste going to landfill.